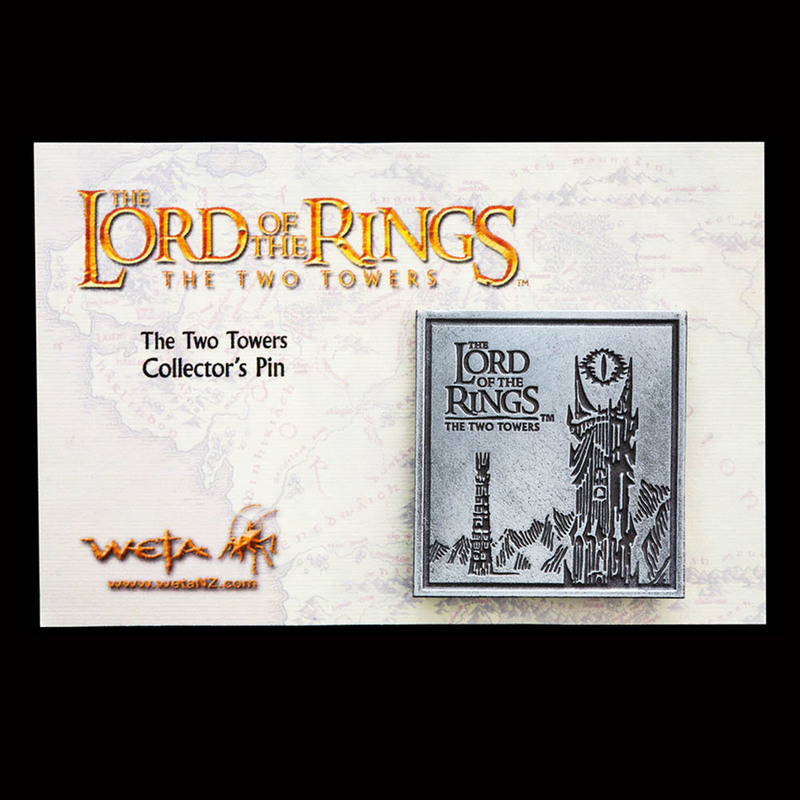 Commemorate your love of The Lord of the Rings: The Two Towers with this special collector's pin. 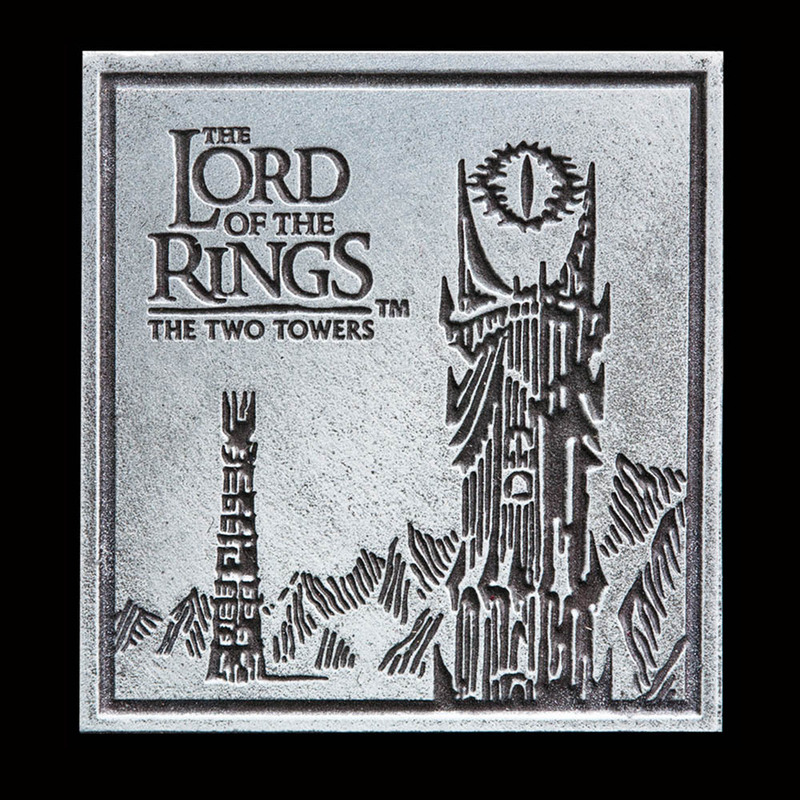 Each pin in our The Lord of the Rings collectors pin series is engraved with an iconic image by 3Foot7 calligrapher, cartographer and illustrator Daniel Reeve from the film it represents: The Argonath (The Fellowship of the Ring), Orthanc and Barad-dûr (The Two Towers) and a Great Eagle (The Return of the King). The pin is made from metal (Zinc Alloy) with a white metal finish and comes mounted on a backing card inside a zip-loc bag. The fasteners are lapel pins with butterfly clutches.